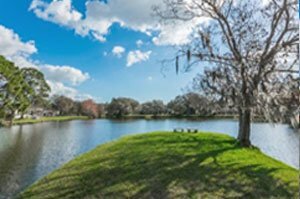 Location and stability are the characteristics of Old Forest Lakes which makes it a strong candidate for home buyers searching for available residences in Sarasota’s bedroom communities. This well-established neighborhood of 72 homes is located north of Beneva Road in Sarasota Springs, wedged between Webber Street and Bee Ridge Road. Both corridors conveniently provide entry and exit to this community for easy access to Interstate 75 to the east and other vital local roadways. A drive-by along the southern side of Webber Street provides glimpses of some of the Florida ranch-style houses at Old Forest Lakes. But for the most part, this community is hidden from its surrounding major thoroughfares. Home searchers could be sidetracked from this community too because of several similarly named residential developments nearby, like the new villa and townhomes neighborhood of Enclave at Forest Lakes, the 55-plus community of the Villages of Forest Lakes and the Forest Lakes Country Club Estates. Properties in Old Forest Lakes, nonetheless, could be easily distinguished through their Forest Lake and Webber street addresses. The inconspicuous location of Old Forest Lakes makes its residences highly suited for home buyers seeking a quiet and laid-back lifestyle. Many of these homes are adjacent to the large, scenic lakes from which the community drew its name. The picturesque water views plus canopies of majestic oak trees draped with Spanish moss lend an old Florida setting throughout this neighborhood. The homes for sale in Old Forest Lakes were mostly built in the late 1950s up to the early 1960s. These residences occupy some of the largest home sites west of Interstate 75, measuring from half an acre to a bit over two acres. A number of early builds in this community were sold as teardowns and replaced with new builds that are typically much sought-after when listed as pre-owned resale properties. As desirable are the community’s residences which have been remodeled extensively. Prospective buyers of homes for sale in Old Forest Lakes, as a result, will find a wide range of architectural designs. There are newer custom-built West Indies-style residences as well as two-story cottages and Spanish Mediterranean home renditions in this community. The neighborhood has drawn an eclectic mix of residents ranging from young families to professionals and retirees. 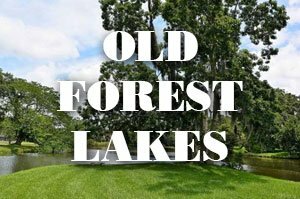 Old Forest Lakes’ peaceful environment and country feel has encouraged long-term homeownership within the community, resulting in an intimate and close-knit neighborhood. Pricing of sales listings in Old Forest Lakes typically start at the $400s for residences with floor areas of between 1,700 and 2,630 square feet designed with two to four bedrooms. The price quotes in this community typically level up to $500s‒$800s range for sales-listed dwellings featuring floor plans upwards of 3,000 square feet with up to six bedrooms. There are plenty of local amenities around Old Forest Lakes that further help spur market interest in its residences. The nearby junction of Beneva and Webber Road, for one, is home to several retail shops and restaurants. 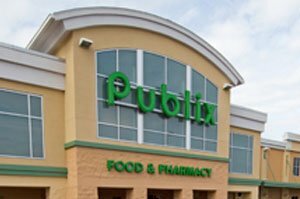 A Publix supermarket on Bee Ridge Road, in addition, is walkable from this neighborhood’s southern entrance. Within a 15-minute drive westward on Bee Ridge, the community’s residents can conveniently access the Southgate mall as well as the gateway to the Siesta Key Beach.